The après version of the classic ski boot, not only do these boots look cool, they feel fantastic! Great with a pair of jeans and a warm cable sweater, these boots scream ski town chic. These one of a kind gems have been our best sellers for the past 15 years. Great for both men and women, when your wearing these guys be prepared to get noticed! 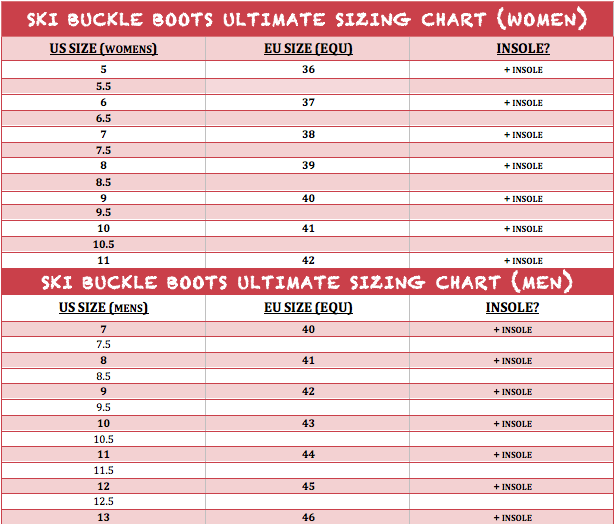 DON'T SEE YOUR SIZE ?